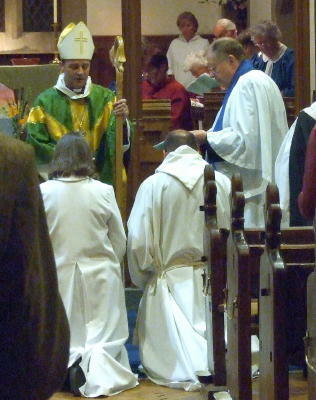 The service was led by The Rt Rev. 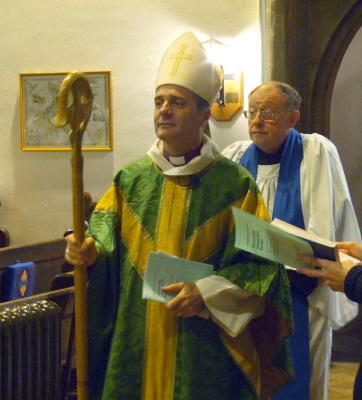 Dr Lee Rayfield, Bishop of Swindon, with The Ven. 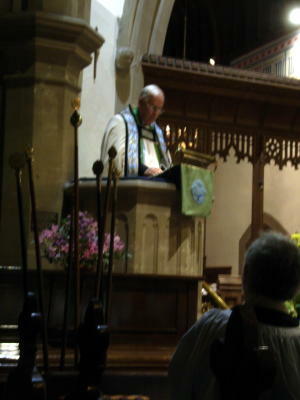 Alan Hawker, Archdeacon of Malmesbury preaching. On arrival at the church everyone was handed a piece of paper on which to wrote their hopes and fears for the partnership. 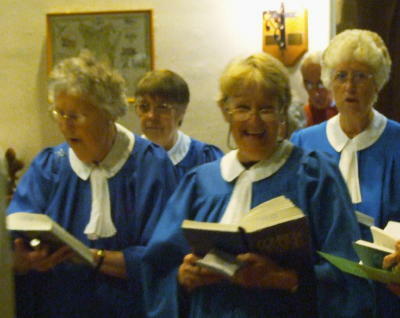 These were later collected and taken to the Bishop for blessing. 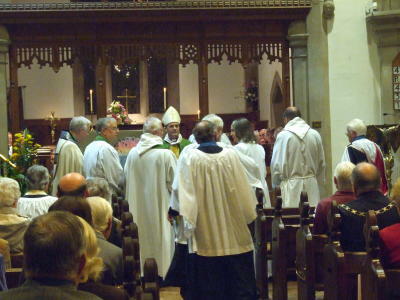 The licences of the four priests were extended to cover the four participating parishes and the licences of two Lay Ministers were extended allowing them similarly to serve at any of the four churches within the Partnership. 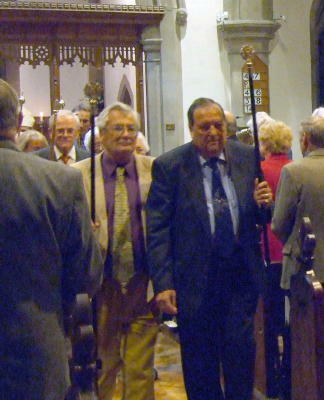 An object symbolic of each church was taken up and presented at the altar - a cross for St Saviour's, a key for another and a photo. 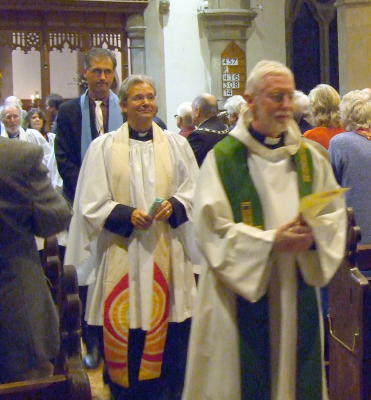 The service was followed by a social gathering with tea or coffee and a lovely chance to chat to other parishoners from the new Partnership Churches. It was great to see so many people there. If you have more news to add, please contact the Webmaster.